…until you realize you just wasted your money on a grow tent which can't even correctly handle equipment like a heavy grow light. Provide a (close to) light-tight seal. And better yet: will also last you at least a few years and come with nice growing conveniences, that you're all going to learn about today. Today you're going to learn which 5 grow tents deserve a spot in any growing setup, and which one of the 5 best grow tents deserves a place in your growing setup. Sounds good? Let's get started. The Apollo Horticulture Grow Tents take the number 1 spot. Don’t expect a 100% perfect tent. There might a be a tiny bit of light leakage through the zipper. But this is easy to fix by ironing the zipper covers on the inside. Apollo grow tents have a robust heavy-duty zipper and a metal frame with metal corners. This means they will last you at least a few years with diligent use and can handle heavy equipment like a LED grow light. 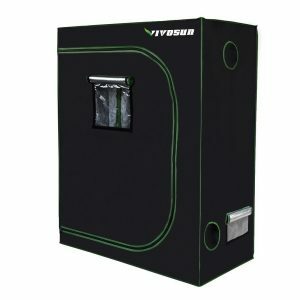 There are also plenty of options for running ventilation, which makes these grow tents super easy to tailor to your specific setup. The Apollo Horticulture Grow Tent is the grow tent I recommend. They quickly established themselves as another ‘value for money’ grow tent brand. Build quality-wise this tent is a little bit better than the Apollo grow tent. But since Apollo Horticulture has a slightly better reputation and a longer track record…it's rated somewhat better. They offer a 2-year warranty, which is a lot for a budget grow tent. Shows you the trust they have in their craftsmanship. 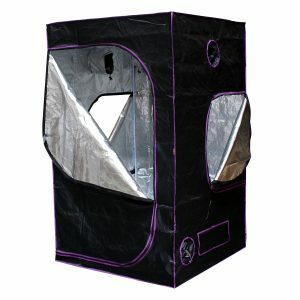 This tent is also one of the easier grow tents to set up and tailor to your specific needs because of its many vents and ports. 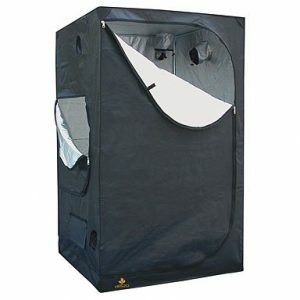 This tent is the grow tent I recommend. 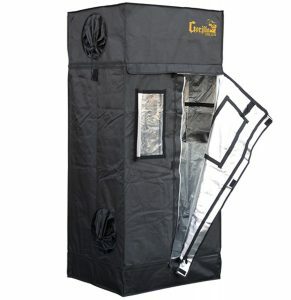 Gorilla is known to produce TOP quality grow tents at a premium price. …but for half the price. Gorilla grow tents are built to last. And while the Lite Line is a bit less durable overall, it’s still more durable than the average grow tent. It has a steel frame (including steel corners) and a sturdy, heavy-duty zipper which is one of the strongest in the market. Only its canvas is a bit less dense and less durable than the regular line. Grow taller plants and increase your yield with the height extension kit (making it the tallest tent on the market). Easily keep an eye on your project with the easy-view-windows. Diamond reflective walls that help your plants grow faster and stronger. You should check this tent out. There seems to be variance in the light tightness between different units. If you do online research, you’ll see a few reviews saying light leaks through the zipper. There’s no single grow tent which 100% blocks all light straight out of the box. 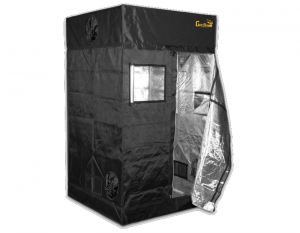 But if you’re looking for a grow tent which scores higher on light tightness, check out the next grow tent. 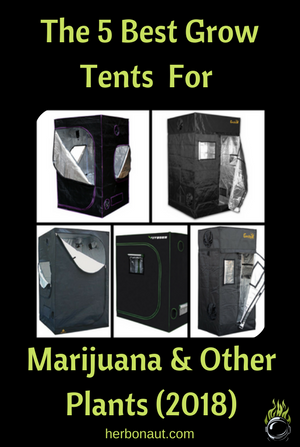 Secret Jardin grow tents are 1 step up compared to the ‘budget’ tents like Apollo and Vivosun. The build quality is slightly lower than the Gorilla Grow Tent Lite Line though. Is that chances of you getting a zipper that is light tight, is much higher. The inside of a Secret Jardin grow tent will be pitch black, straight out of the box. No ironing or gluing required. Pitch black doesn’t mean 100% light tight. But the light leaks with an average Secret Jardin grow tent are negligible. And although its build quality is not Gorilla-like, it’s still above average. It has a very sturdy construction with an aluminum frame and a durable zipper. These tents will last you at least a few years, even with heavy use. But you do get higher quality in return. The Gorilla grow tent is the only one that can truly call itself that. You’ll be happy to know with the Gorilla grow tent; it’s virtually impossible for your plants to catch hermies or have disrupted flowering times through light leakage. It’s the most light-tight grow tent, even more lightproof than the Secret Jardin Darkroom Pro. It has flaps which you can pull over the zipper, and the canvas is so durable you’ll be hard-pressed to find any pinholes…even after months of heavy use. Proper ventilation is crucial if you want to prevent your tent from getting too hot and put stress on your plants, and with the Gorilla tents, adequate ventilation is a given. It has the most intelligently designed vents I’ve ever seen, facilitating any setup. If you want to maximize your yield with higher plants, the Gorilla grow tent is the tallest tent on the market. You can easily track the progress of your project with the easy-view-windows. Your plants will grow faster and stronger because of the diamond reflective walls. If you have potent lights, it’s easy for your tent to reach a much higher temperature than optimal…especially if you live in a warmer climate. And a too high temperature in your tent will severely slow down the growth of your plants. This is precisely where the infrared lined roof comes in…it’s great at dispersing the heat and keeping your tent cool. A bonus is it makes you invisible to heat detectors from above…should you need it. It is the most expensive grow tent on our list. But if you want the TOP DOG in grow tents…get this beast of a tent.